The YCS Final. Photo: Finalcrux Films. 353 competitors aged between seven and 17 took part in this year's grand final hosted by EICA Ratho on Saturday 23 April 2016. Record numbers of competitors and spectators made for a very busy, but fantastic atmosphere at BMC/MCofS/MI Youth Climbing Series Final held this weekend at Edinburgh International Climbing Arena (EICA). Full results for the Youth Climbing Series Final can be found here. EICA maybe the biggest climbing arena in the world but it was full to the brim on Saturday with talented climbers who have progressed through the regional rounds to the final to try and become YCS champions in ten age categories. There were some fantastic performances in all categories on both the routes and boulder problems, but stand out climbs of the day where the two girls who triumphed in their respective super finals right at the end of the day – Lucy Garlick (Youth E) and Rebbeca Stephens (Youth B) – who having tied for 1st place had to climb one last route after a long tiring day, putting in maximum effort to come out on top. As usual this event relies on over 80 hard working volunteers most of which pulling more than 12 hour shifts with very little break – so the BMC would like to join with the competitors in offering a huge vote of thanks to these guys, without which the National Final and the regional rounds simply would not be possible. The BMC would like to thank Adam Cruttenden (Manager) and his team at EICA for being fantastic hosts and especially for staying open late and allowing us to get through the superfinals. With an event as big as the YCS Grand Final, EICA is the only climbing wall in the UK large enough, but they always put on a fantastic show and the competitors always have a great time. The ropes for these events were provided by Mammut as the official supplier of ropes to BMC climbing competitions. 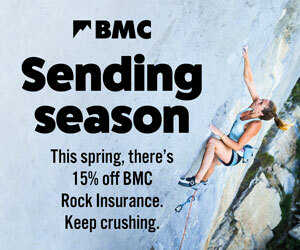 The prizes were provided by DMM as the official supplier of climbing gear to BMC climbing competitions. Information and dates for the 2017 series of the YCS coming soon. The BMC is pleased to present the calendar for national competitions in 2019. The BMC Youth Climbing Series is a climbing competition for young people. The series is extremely popular and attracts hundreds of young climbers nationwide. Thanks very much to all the organisers and volunteers for a fantastic day! Great day - well done to all the athletes for competing so hard and cheering each other on and thanks to the organisers and volunteer belayers, judges and chaperones that make it all possible, and the GB team for demo'ing.